Old rose ruffle lehenga set designed by Astha Narang at AASHNI+CO. 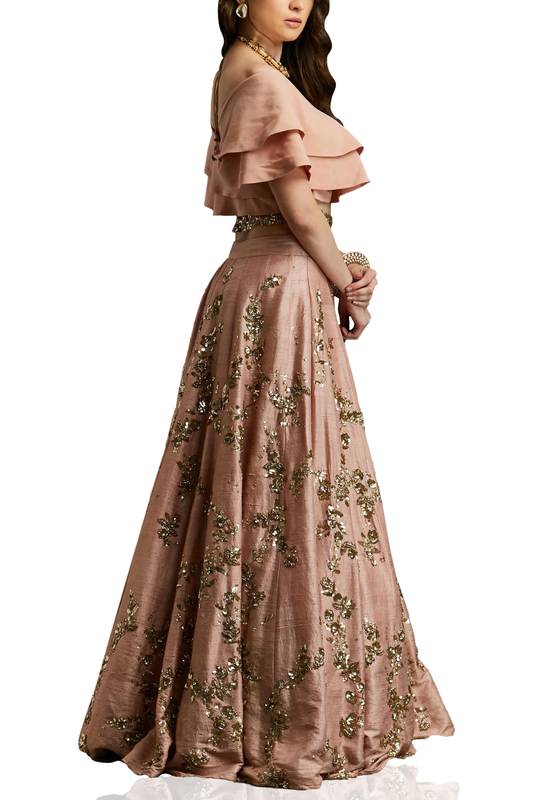 Astha Narang designs dramatic silhouettes for the summer wedding season in an old rose ruffled wrap style blouse paired with a sequin embellished lehenga. Enhance your look with tassel detail juttis and potli bag.